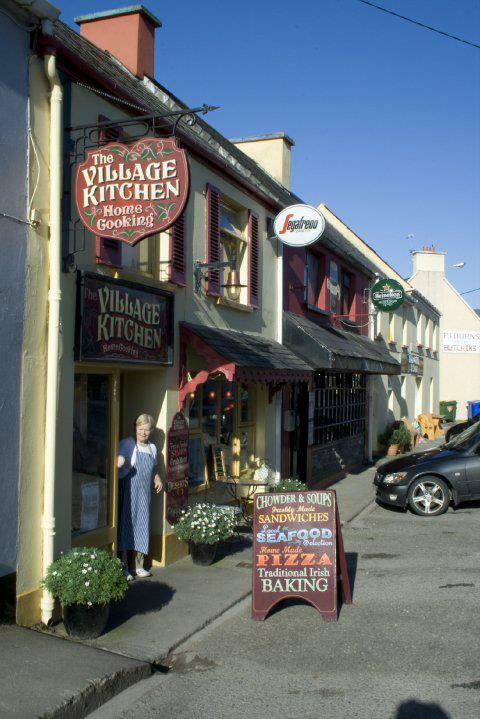 Also known locally as Barbara’s, The Village Kitchen is now being run by her son Cormac and his partner Michelle. Barbara still provides a smiling welcome and bakes her famous scones and brown bread. The Village Kitchen has an extensive menu and is popular for breakfasts, lunches and snacks.